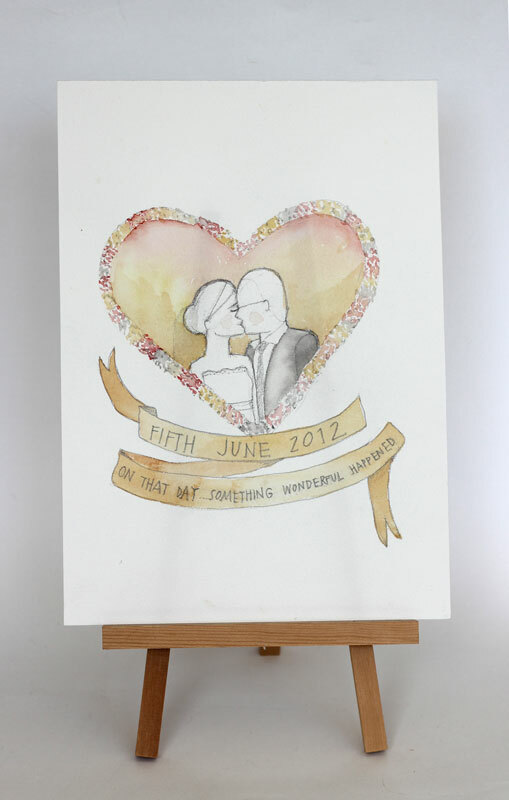 Some dear pals celebrated their first recently and got me to a do a watercolour of their kiss as hubby and wifey…. Paper is the first “medium” for wedding anniversaries (I’m up to leather!? ).